GWINNETT COUNTY, Ga. -- About 20 people were displaced by a large fire at a Gwinnett County apartment complex. A resident called 911 at around 2 a.m. Monday to report the smell of smoke at the Sinclair Apartments on Park Colony Drive, just off South Norcross Tucker Road. Responding crews found the fire burning on the second floor of an apartment building and flames shooting through the roof. Gwinnett County Fire Lt. Jerrod Barrett said firefighters also saw residents "jumping from the second floor window" to escape. Two ladder trucks were needed to battle the blaze. One person suffered minor injuries in the fire and was taken to an area hospital. No one else was hurt. Eight apartments were left uninhabitable by the fire. The cause is under investigation. GWINNETT COUNTY, Ga. -- A quick-thinking victim promised to withdraw money from an ATM in order to avoid being shot by a robbery suspect. The victim told police he was robbed July 3 at around 7 p.m. while sitting in his car outside the food mart at 3330 Peachtree Corners Circle in Gwinnett County. According to the victim, he was approached by a man who offered to sell him an iPhone 6. When the victim refused, the suspect walked to the passenger side of the victim's car, leaned inside and pointed a gun at the victim. The suspect said he would shoot the victim if he did not receive money, according to Gwinnett County Police. The victim told the suspect he was willing to drive to a bank and withdraw $50, and said he would not call the police. The pair drove to a Bank of America on Jimmy Carter Boulevard, where the victim withdrew $40 from the ATM. 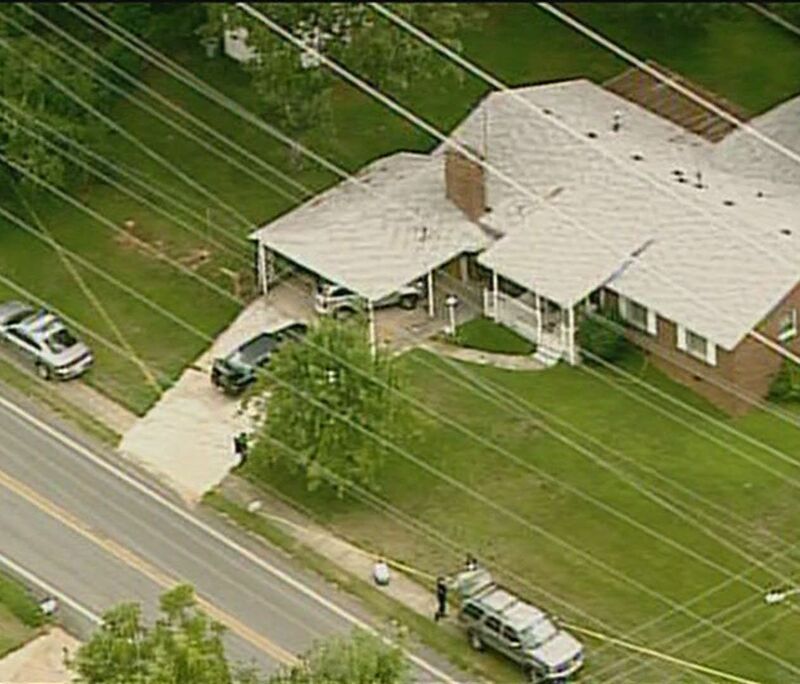 NORCROSS, Ga. (WXIA) – In Gwinnett County, investigators are continuing to dig for clues after two bodies were found decomposing inside a home Monday afternoon. Police announced Wednesday the victims are brother and sister. The pair likely died around the first week of June. Investigators believe 45-year-old Hoang Nguyen stabbed his sister, 49-year-old Glenda Nguyen, twice -- once in the back and once in the abdomen. He then killed himself. The motive remains unclear. GWINNETT COUNTY, Ga. -- A man was shot to death in the parking lot of a Gwinnett County apartment complex Friday morning. A witness told police he heard gunshots ring out at around 2 a.m. as he walked through the Forest Vale Apartment Homes off Jimmy Carter Boulevard. The witness said he found the victim, 21-year-old Kevin Rivera, lying on the ground. Rivera had been shot multiple times and died before emergency responders arrived. No one has been arrested. Gwinnett County Police are canvassing the apartment complex and trying to identify additional witnesses. GWINNETT COUNTY, Ga. -- Gwinnett County Police have arrested the woman accused of using a stolen debit card at several businesses in the Peachtree Corners area. The case's lead investigator received two anonymous tips identifying the suspect as 40-year-old Leonor Ester Ohara. Police visited Ohara July 2 at her workplace, where she was taken into custody on two fraud charges. She has since bonded out of jail. Investigators believe Ohara's boyfriend Michael Smith may also be involved in the fraud. The card was reported stolen May 19. The victim told police it was taken from her car, which was parked outside her Poplar Spring Court home. Shortly after the theft, someone used the card at a QuikTrip on Peachtree Corners Circle, a McDonald's on Jimmy Carter Boulevard and a CVS on Peachtree Parkway. NORCROSS, GA (WXIA) – A Norcross man was rushed to Grady Memorial Hospital in Downtown Atlanta after he was shot during a home invasion Friday afternoon. Gwinnett County Police detectives were canvassing the neighborhood, hoping to find information about what happened. Police said the man was shot once, but would not identify the victim of the shooting. Before he was taken to the hospital, he was able to tell investigators that two men walked into his home, their faces covered with bandanas. 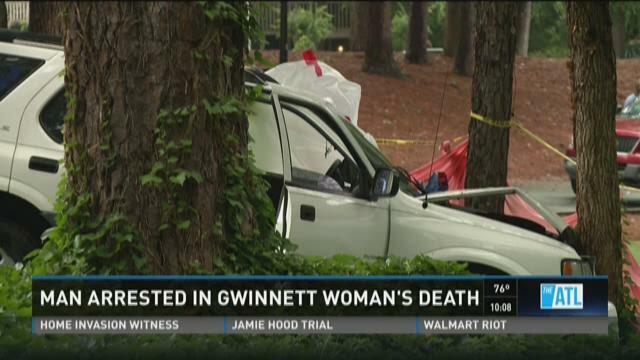 PEACHTREE CORNERS, Ga. -- Gwinnett County Police have made an arrest in a early morning murder in Peachtree Corners on Friday. Rickey Williams, 36, of Peachtree Corners has been charged with felony murder and aggravated assault for the death of Lynett Karim, 29, also of Peachtree Corners. The incident happened shortly after 8 a.m. Friday at the Highland Lakes Apartments on Ashley Lakes Drive, just off Jones Mill Road. Gwinnett County Police were dispatched to the complex after receiving a 911 call about a fight in the parking lot. Gunshots were fired during the call, according to investigators.